Thank you for your interest in Shamanic Healing! 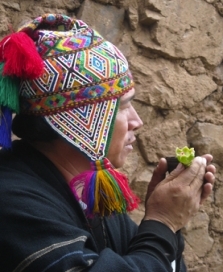 Shamans or medicine man and women in traditional cultures have for millenia practiced what is nowadays called natural holistic energy healing. Shamanic vision embraces the detail within the whole at material, symbolic, mythic and spiritual level. That allows the deep healing shifts in material reality, resolving all kind of problems and ailments. Shamans do not lock the problem by labeling (diagnosing) it. They acknowledge it needs to be healed and heal it. I have studied, healed from and been initiated in some South American Shamanic traditions, which are holistic, straightforward and powerful, especially in case of stubborn problematic patterns and ailments that appear mysterious from Western mainstream modalities point of view. Each and every human aspect - mental, emotional, physiological, physical and spiritual - can benefit from shamanic healing, which helps open up the path to your health, success and fulfilment. Shamanic Healing is compatible with all other forms of healing - medical, traditional, complementary and self-healing.